Our gloriously comfortable beds with crisp cotton bedding and feather duvets will leave you refreshed, ready for our delicious English Breakfast; with fresh eggs from our own hens, local sausages and bacon, taken in our sunny conservatory overlooking the garden, with views down to the lake. Just ask if you would like anything special. You can linger over breakfast or take a peaceful walk round the farm (map provided). Hill Farm is ideally placed for visiting Silverstone, the Cotswolds, Oxford, or the National Trust properties of Stowe Landscape Gardens or Blenheim Palace. The discount designer outlet centre, 20 minutes away at Bicester Village, is hard to resist. Dogs are very welcome by arrangement. Please note we are a non-smoking establishment. 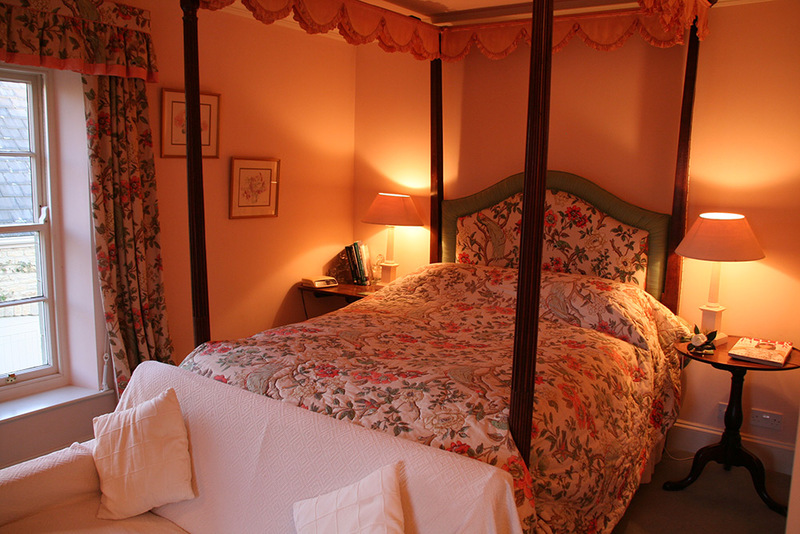 An antique four-poster bedroom with en-suite bathroom. A spacious twin room with own basin and en-suite bathroom. Large twin studio pool house with en-suite shower room. 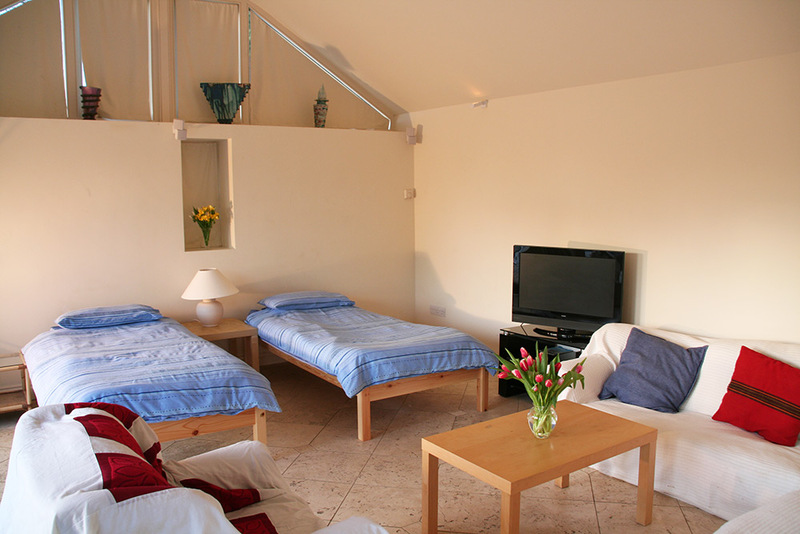 • Single Bed & Breakfast from £50 to £60 per room – Includes full English breakfast. 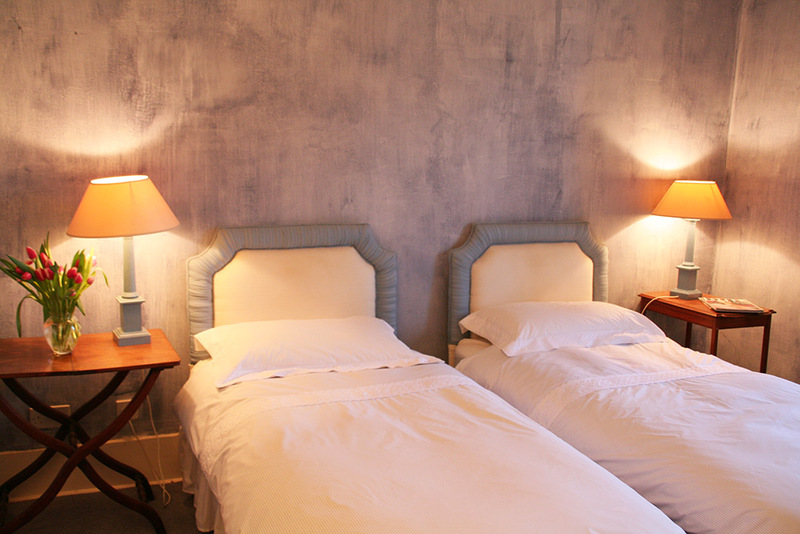 • Double/Twin Bed & Breakfast from £50 to £95 per room – Includes full English breakfast. • Triple Family Room Bed & Breakfast from £100 per room -Includes full English breakfast. Click on the thumbnails opposite to see enlarged photographs.